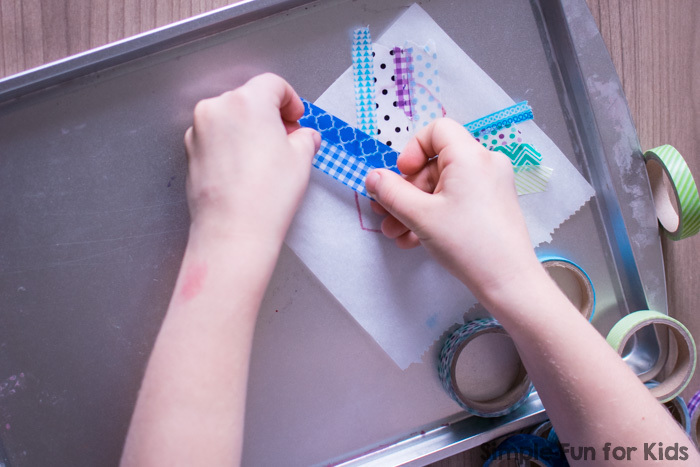 I recently discovered this amazing washi tape technique when I came across this post (in German) where they used it to make Christmas cards. 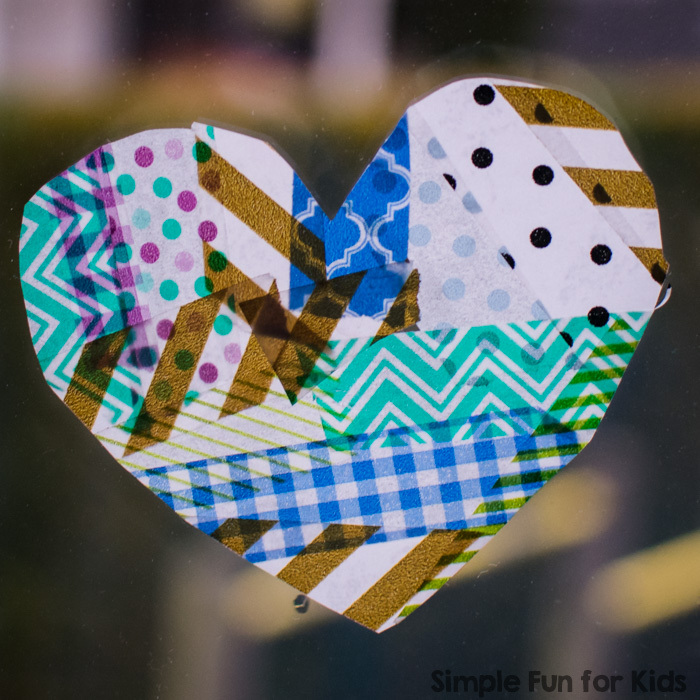 This technique is super simple, super effective, and my 6-year-old didn’t need any help to make her washi tape hearts. My kind of craft 🙂 Oh, and there’s no mess either! 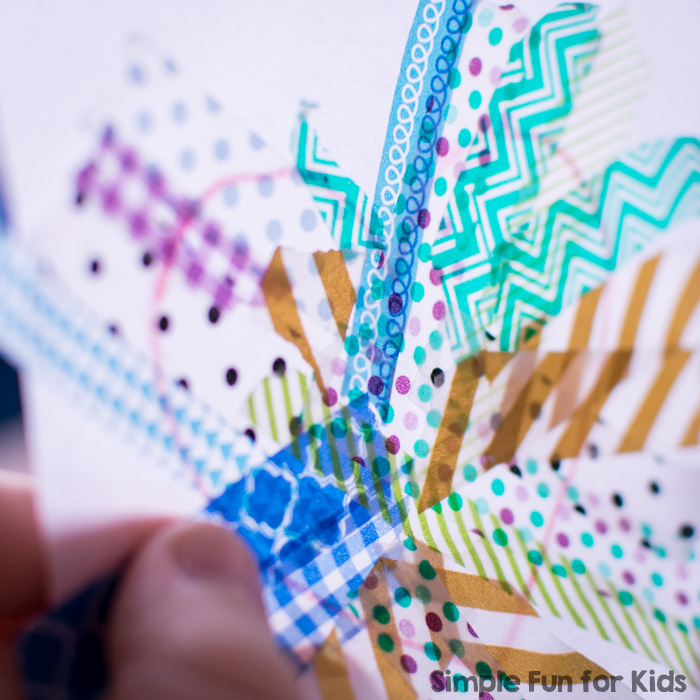 All you need is a piece of parchment paper and a sharpie to get started. 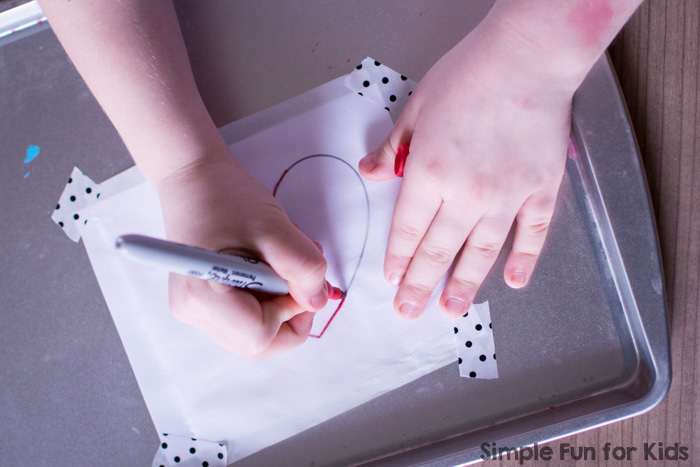 I chose to make a heart template to trace to make it easier for E, but it’s not needed if you can freehand a heart on the parchment paper. 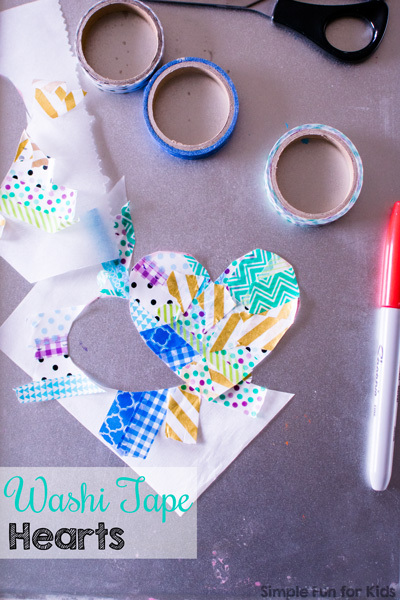 Once she’d transferred the heart shape to the parchment paper, she started tearing off pieces of washi tape and covering the heart with them. 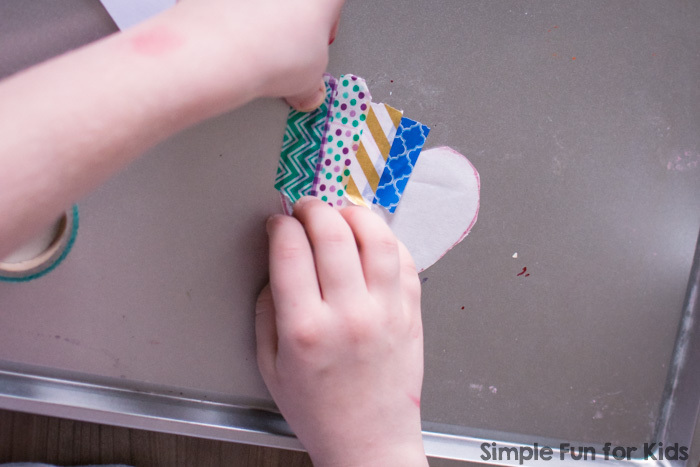 I explained that she needed to cover the entire heart and overlap the pieces of washi tape, and she had no problem following these directions. 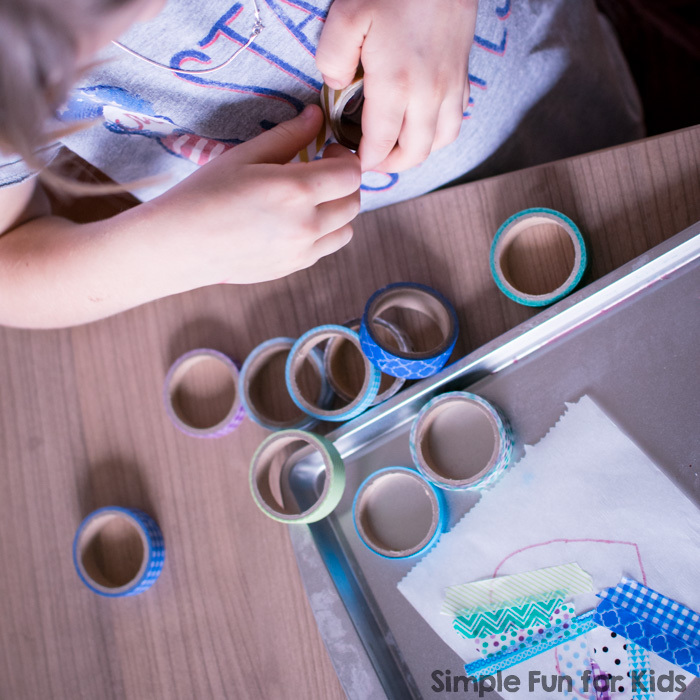 Tearing off strips of washi tape was a great fine motor activity! 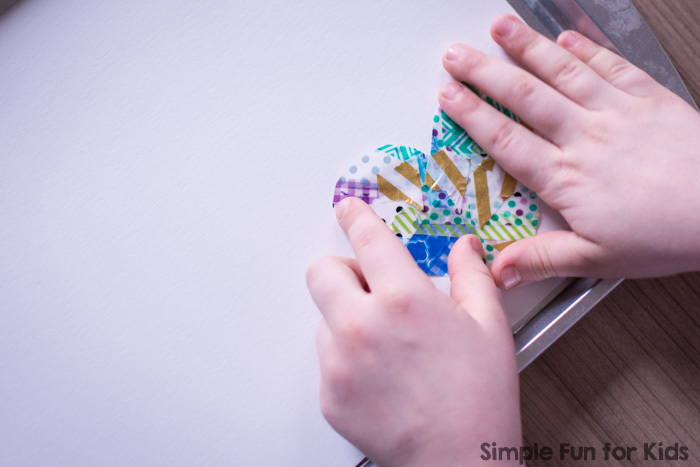 N didn’t want to be left out and gave it a good shot, too 🙂 He lost interest pretty quickly, though, and decided it was more fun to play with the rolls of tape. 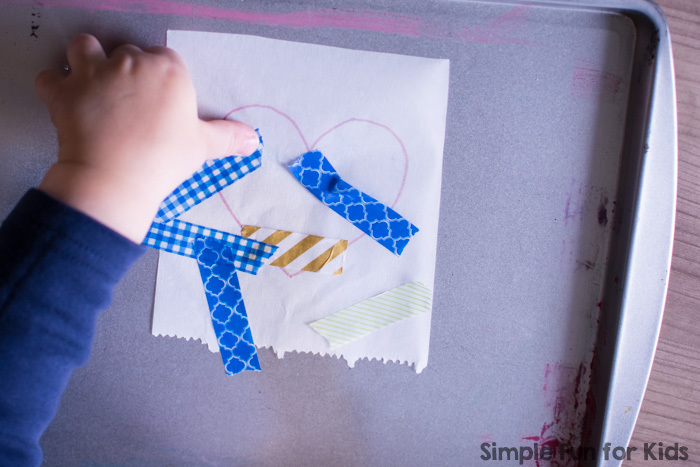 When E was done covering her heart in washi tape, we looked at it against the light to make sure there were no gaps left. E then cut out the heart along the sharpie line and pulled the parchment paper off the back. It was very easy because the tape doesn’t stick to the parchment paper very well. 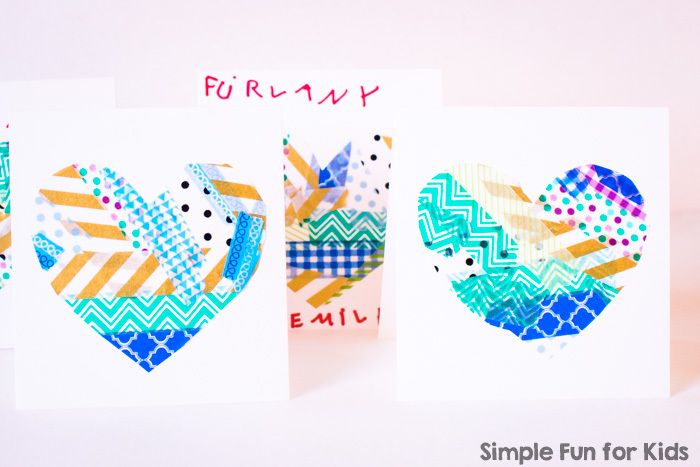 Finally, she stuck the heart to some cardstock that I later cut into cards. She immediately wanted to make another heart. 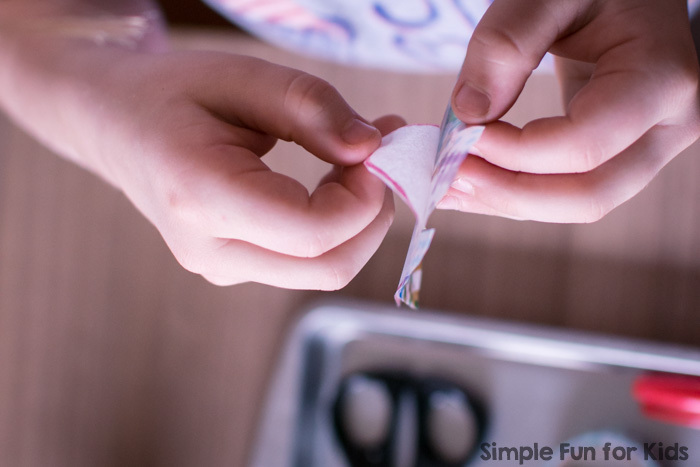 I told her she could reuse the parchment paper heart, but it actually wasn’t the very best idea because the washi tape stuck to the cookie sheet too well. I ended up having to carefully pull it up to avoid destroying the heart. The next several hearts were made with fresh pieces of parchment paper that E was able to handle on her own. but also looked super pretty in the window!